Most of the popular tracks released in the last few months are based on electric guitars! House, deep house, modern pop and many others! We can say that guitars took control of all modern music! That is why we’ve decided to create a product with extremely melodic, grooving, radio ready club/modern pop guitar loops. Exactly the same vibe like you can hear in your favorite smash radio/TV/club hits. Extremely hard to be played using Your VST instruments. Now all is at your fingertips! Wanna be a pro? Check out our electric guitar loops! You will find here over 1 Gb multiformat material, 50 electric guitar loops ready to be used in Your upcoming projects! PLEASE NOTE: Drums / drum loops and instrument loops are NOT INCLUDED in this pack and they are used in the MP3 Demo for demo purposes only! This pack contains only electric guitar loops. 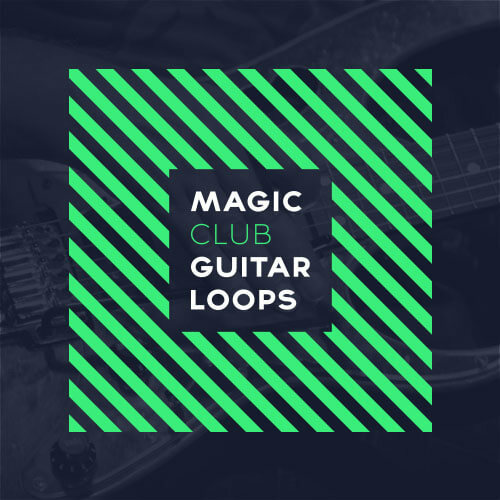 ‘Magic Club Guitar Loops’ contains 50 electric guitar loops, 1 Gb multi-format material (24-bit Acid WAV, 24-bit Apple Loops and 16-bit WAV) ready to use in your favorite sampler or sequencer, both hardware and software, including: Logic, GarageBand, Soundtrack, Digital Performer, Sony Acid, Ableton Live, Adobe Audition, Cakewalk Sonar, Pro Tools, Emagic EXS24 and many more. Every purchase you make is contains 3 Zip (1 Gb after zip compression).